Leshara Nightfang is also a very prominent part of the Lunastia Confederacy. Since the split of the High Elf races, she took it upon herself to create the first Mage College in Merovia. During an incident regarding a Werewolf infestation, she blocked out the moon with an illusion and stuck down each of the vile creature with bolts of white lightning. 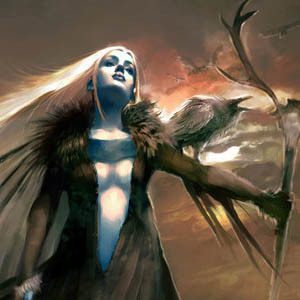 It is suspected that the Moon Elf rebellion owes a lot of the success to her power.